This beautiful brand new cabin is located 10 minutes outside of Helen, GA. It has a view of Mount Yonah, and is in a prime location for hiking, tubing, horseback riding, and whitewater rafting. We had an amazing time! The cabin was everything we had hoped for and more. You thought of every detail. We can’t wait to come back next year! Outstanding Value! Super clean, beautiful cabin! Dr. Scott: Thank you for a great getaway! The property was beautiful and remote. We both slept like bears. The interior of the home was updated modern and had all the amenities and necessities for cooking and relaxing . The hot tub was spacious clean and well functioning. The location was near all of the sites we wished to see such as Helen, nearby golf courses, and rustic mountain views. The instructions regarding this residence were plain, clear and effective. I cannot say enough positive things about my experience in this residence thank you again Dr. Scott. 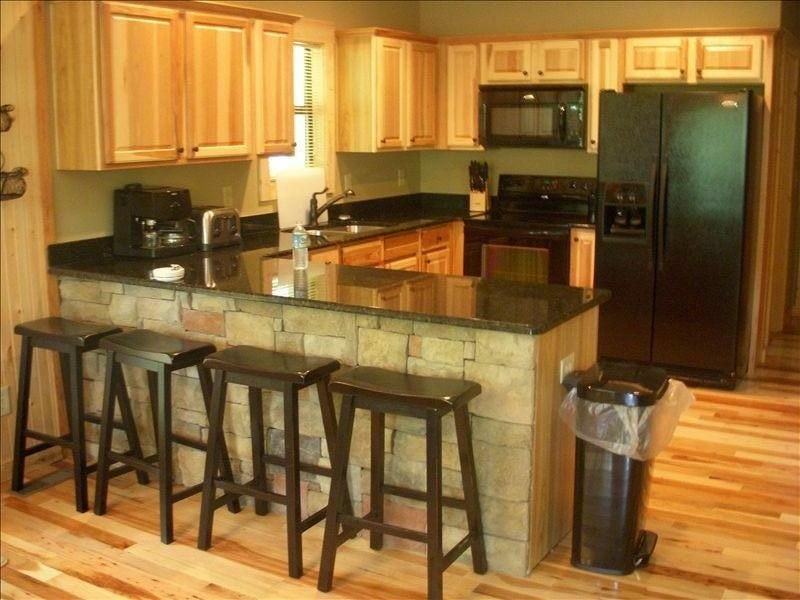 Beautiful cabin, exceptionally clean and close to everything. Perfectly located to everything. The cabin has everything you would ever need,. What a beautiful, quaint little cabin. It was perfect for our family get away. So impressed with how clean it was and had anything at all we needed. Only had to buy food and we were good to go! One night the outside garbage can was full. We called the caretaker and not only did they come literally within minutes to trade out cans, they took ounr bag on the porch as well. If there could be ANYTHING negative I could say is that the drive used to getting to the cabin is a little rough with it being un paved and the internet is poor but that didn't bother us at all. After all, to have quality family time was our mission. Definitely will be returning. Thank you so much for this opportunity. Can't ever go wrong choosing this cabin. This cabin is about 10-15 minutes from downtown Helen allowing for peace and quiet with the option to get into the action. It was easy to find and was very quiet. Everything that we needed was there. I packed dishwasher soap/laundry detergent but they had some available if you needed it. I traveled with another adult and 2 small children (3 and 6 years old) and we all enjoyed ourselves. I would definitely recommend this cabin and will come back! This cabin was perfect for a weekend getaway with another couple. We were impressed at how clean and well stocked the cabin was, it had everything we needed to cook several meals. The hot tub was great and the house had ample towels which was much appreciated. It was close to Helen and several wineries which made getting around very easy. We will definitely be going back!